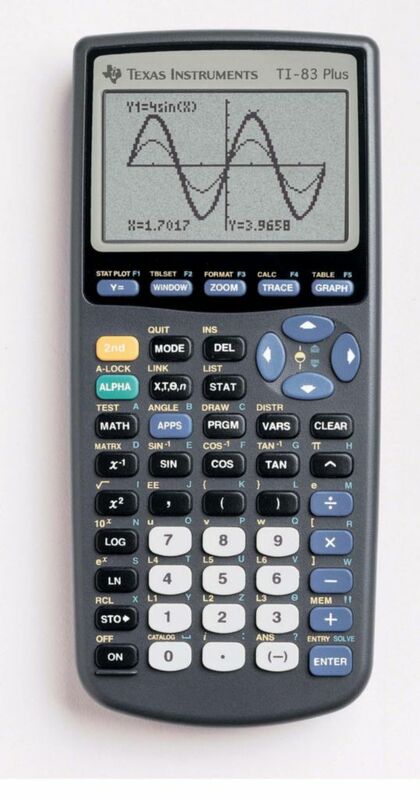 This calculator has enhanced graphing capabilities. 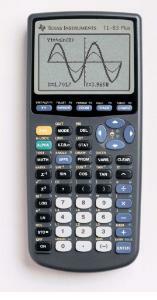 The TI-83 features advanced functions for finance, algebra, calculus, statistics, and science. The display allows 16 characters per line with a maximum of eight lines and has a split screen for simultaneous graph and tabular display. It also contains Flash technology, so users can upgrade to future software sets or quickly store and recall large programs. This calculator is compatible with the LabPro, CBL 2, and CBR; and the included unit-to-unit cable allows data sharing with another TI-82, 83, or 83 Plus calculator. It has 24K RAM of memory and 160K Flash ROM. 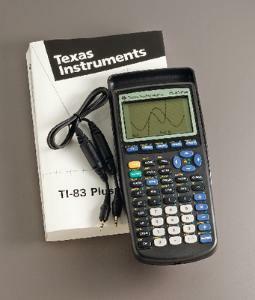 Ordering information: This calculator includes a user’s manual, four AAA batteries, and a backup CR1616 lithium battery. The teacher kit includes ten calculators, ten instruction booklets, a poster for quick reference, and calculator-to-calculator link cables.